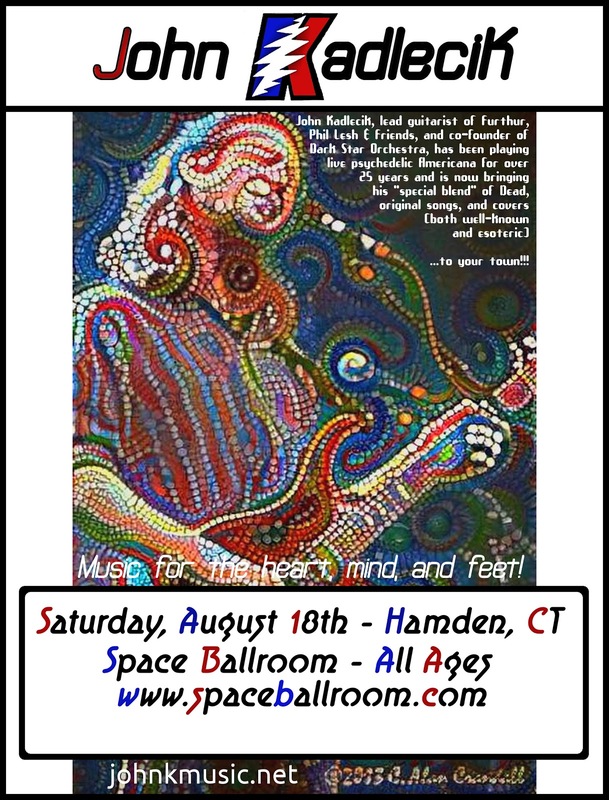 We’ve got two great shows next week! 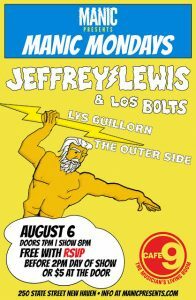 Kick off your week by seeing Jeffrey Lewis & Los Bolts at our Manic Monday show at Cafe Nine. Interested in winning a pair of free tickets, a t-shirt, and and a copy of Franz Ferdinand’s latest vinyl “Always Ascending”? 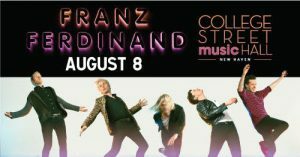 Just fill out the google form below for a chance to see Franz Ferdinand on August 8th at College Street Music Hall! For more information and shows we’ve just announced check out the rest of the blog! 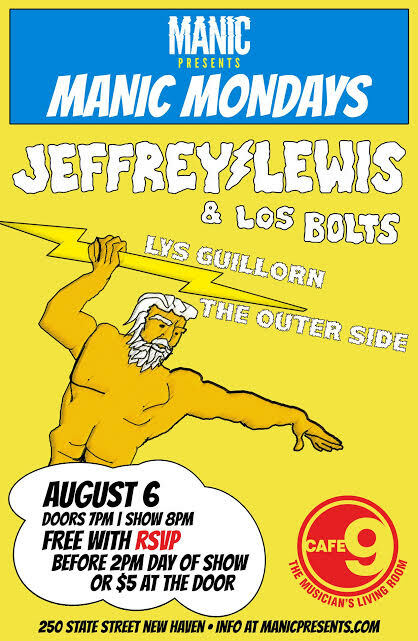 INFO: Jeffrey Lewis & Los Bolts (NYC, Rough Trade Records) play a crazy, original mix of scuzzy urban indie-rock, literate lyrics and comic book punk, like a 21st Century mash-up of Sonic Youth, Pete Seeger and R. Crumb. 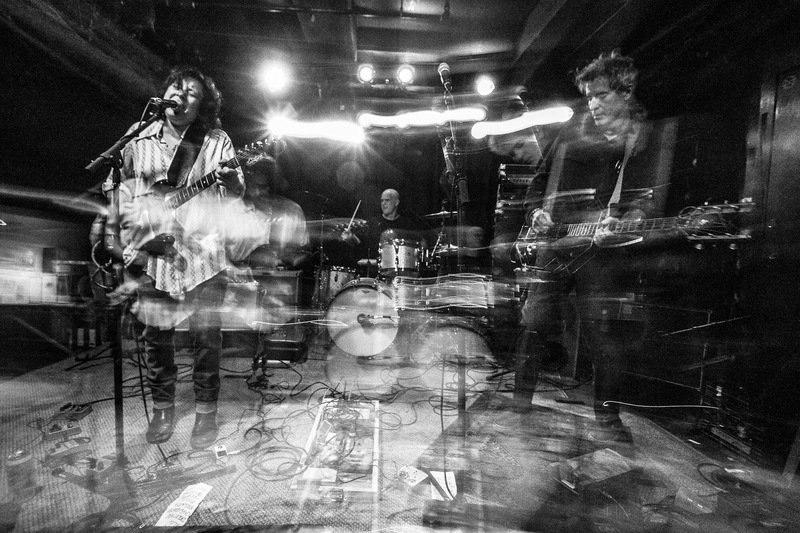 Jeffrey has done tours in Europe and America and Australia and Asia and elsewhere, a few tours every year since 2001, as well as sometimes playing as the opening act for bands like the Mountain Goats, Daniel Johnston, Stephen Malkmus & The Jicks, The Fall, Pulp, Roky Erickson, The Vaselines and other luminaries. Jeffrey has released seven critically acclaimed albums worldwide on Rough Trade Records (licensed through Matador in the USA), in addition to occasional self-releases and projects on other labels (like K Records and Don Giovanni), and Jeffrey continues to self-publish his art and writing in an ongoing underground comic book series called Fuff. INFO: Forget everything you think you know about Franz Ferdinand. Always Ascending is nothing short of a rebirth. 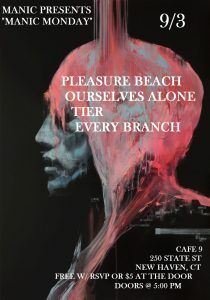 The album’s ten songs are a triumphant recasting of one of our favourite groups, bursting with fresh ideas and vigorous sonic experimentation. “We wanted this to sound like nothing we made before,” said the band and after listening to the first moments of the title track it’s obvious that’s what they’ve accomplished. There have been substitutions, but the team is playing stronger than ever. In case you missed the announcement last year, Nick McCarthy (guitar) left to raise his family and Julian Corrie, a much-loved figure in the Glasgow music scene, joined core members Alex Kapranos, Bob Hardy and Paul Thomson. 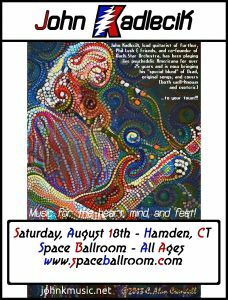 Be sure to enter our contest above to win a pair of tickets and other great prizes to the show. 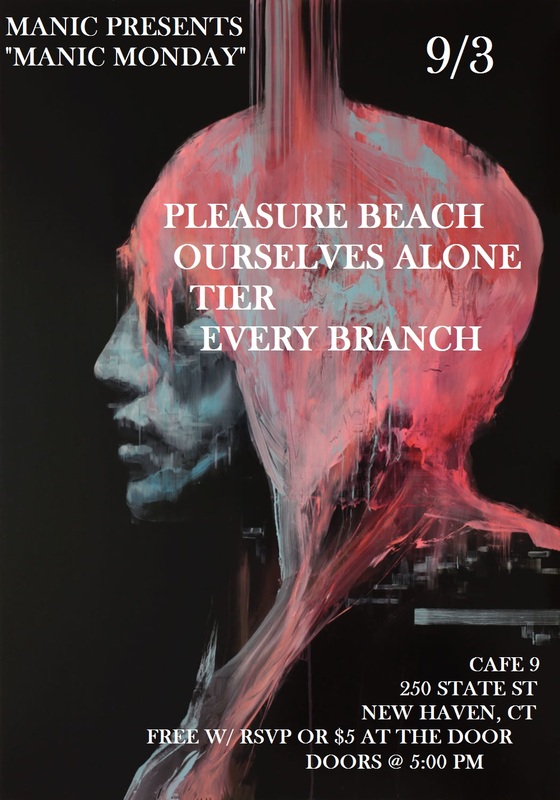 INFO: Come out to our Labor Day Party at Cafe Nine featuring Pleasure Beach, Ourselves Alone, Tier, and Every Branch! There will be free BBQ and specials from the New Belgium Brewing Company to enjoy while watching the show! Doors will be opening at 5 PM and don’t forget to RSVP ahead of time to get in for free. INFO: Michael Stasis is a compulsive songwriter living in Los Angeles. His entirely self-recorded output has spanned the last fifteen years and boasts a variety of odd styles borrowed from his multiple lives in the Pennsylvania woods, New York City, The Bay Area and Los Angeles. Having studied film and sound at the renowned Cooper Union in Manhattan, Stasis is primarily concerned with investigating pop motifs rather than committing to a fixed persona. 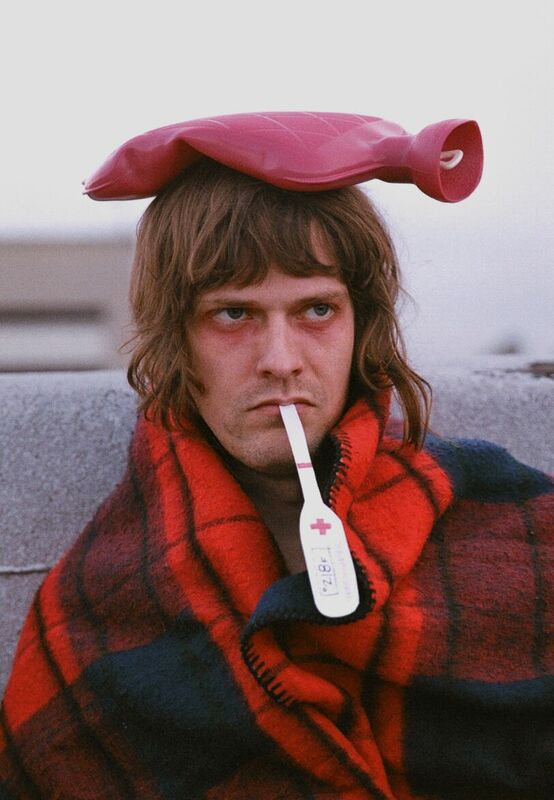 While this eclectic, almost academic artistic approach has led to confusion among critics, his work is always accessible and he maintains a coveted position in the pantheon of “weirdo” songwriters. INFO: E, the trio of Jason Sidney Sanford, Thalia Zedek and Gavin McCarthy make angular, energized, and idiosyncratic rock music. These accomplished and inventive musicians could not be more different in the way they express themselves but their egoless dedication to ensemble playing and writing shapes E’s distinct sound. Negative Work is the product of three individuals whose dedication to the collaborative process may very well be the source of compelling tension underlying their songs. 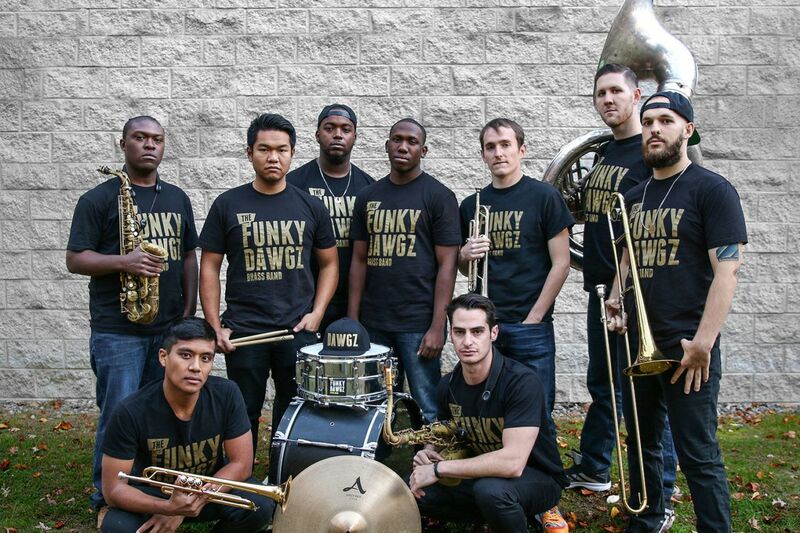 INFO: The Funky Dawgz Brass Band are one of the premier touring acts on the live music scene today. Emerging from Connecticut, these young men have engulfed the spirit and traditions of New Orleans as well as earned the respect from local musicians who grew up and reside in the city. 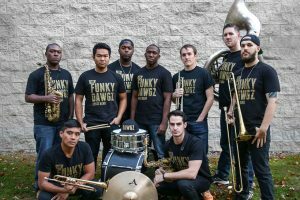 It is impossible not to enjoy yourself during a show as they play a contagious upbeat mix of traditional New Orleans R&B, original music, hip hop, funk, and today’s top hits with a brass twist. 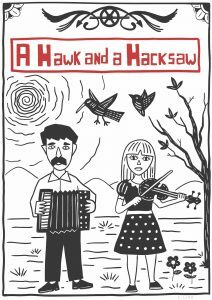 INFO: A Hawk and A Hacksaw began in 2000 in the small town of Saumur, France. Initially a solo vehicle for Neutral Milk Hotel drummer Jeremy Barnes, the main impetus of the project was to focus on the gray areas in borders of music and geography. The first album was released in 2002 by Cloud Recordings. Barnes met violinist Heather Trost in 2004 and the band became a duo. The pair has since released six albums, and toured extensively around the world. They have learned from and collaborated with some of the great musicians of Romania, Hungary, Bulgaria and Turkey. 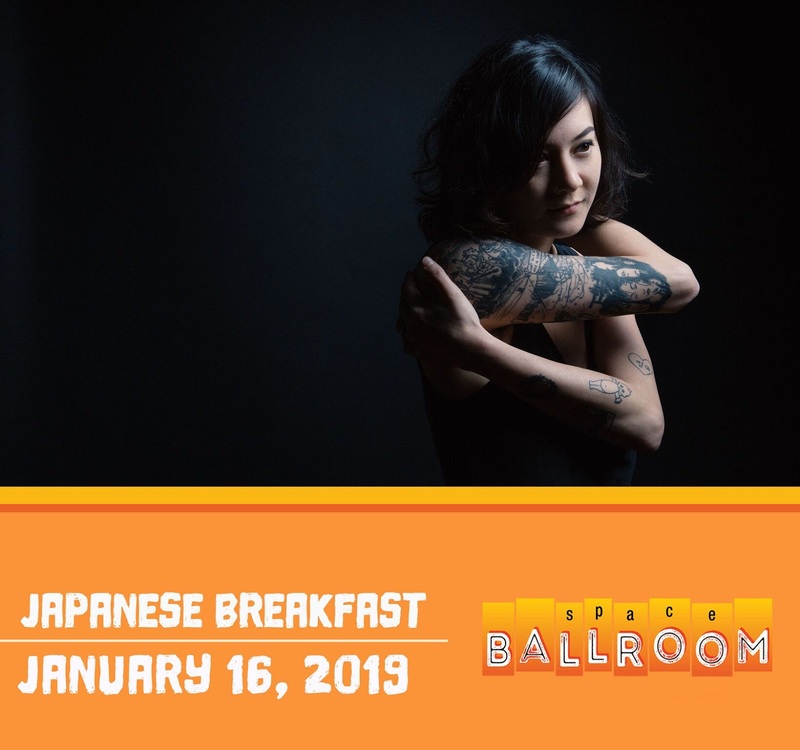 The duo has been invited to tour with Swans, Calexico, Wilco, Andrew Bird, Portishead, Of Montreal and performed at Roskilde, Pitchfork Music Fest, and All Tomorrow’s Parties. 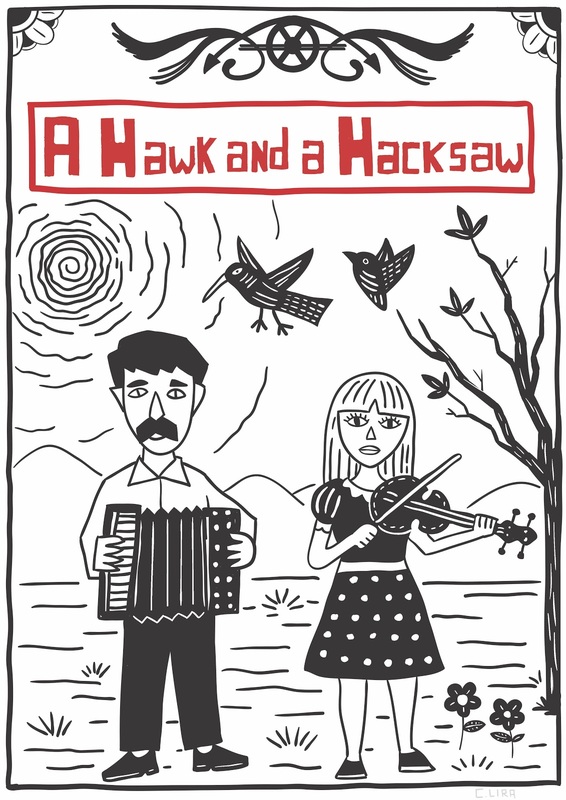 They also collaborated with Iggy Pop on the reworking of a classic sea shanty. INFO: Beach Avenue formed in Summer of 2011 on a whim to enter a regional Battle of the Bands at Mohegan Sun Casino in their home state of Connecticut. Playing their first shows ever the band won the event and earned a cash prize that would fund their debut EP “Something To Believe In”. The band rose to national notoriety then they appeared on Season 9 of America’s Got Talent on NBC in 2014, performing their original songs “Coming Your Way” & “Feel The Beat” on prime network television. 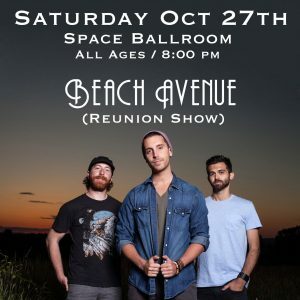 Beach Avenue last performed together in Fall of 2014 and are extremely excited to re-unite and play their catalog of songs for a special reunion show four years later! INFO: Michelle Zauner wrote the debut Japanese Breakfast album in the weeks after her mother died of cancer, thinking she would quit music entirely once it was done. That wasn’t the case. When Psychopomp was released to acclaim in 2016, she was forced to confront her grief. Zauner would find find herself reliving traumatic memories multiple times a day during interviews, trying to remain composed while discussing the most painful experience of her life. Her sophomore album, Soft Sounds From Another Planet, is a transmutation of mourning, a reflection that turns back on the cosmos in search of healing.